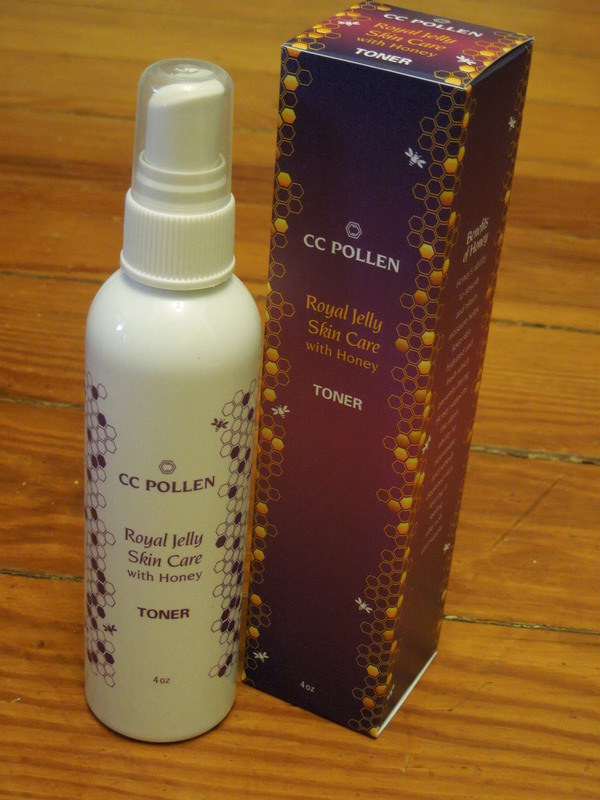 So for May’s product review I got a lovely box chock full of items from CC Pollen. They sent me a skincare collection and a fabulous assortment of honey. 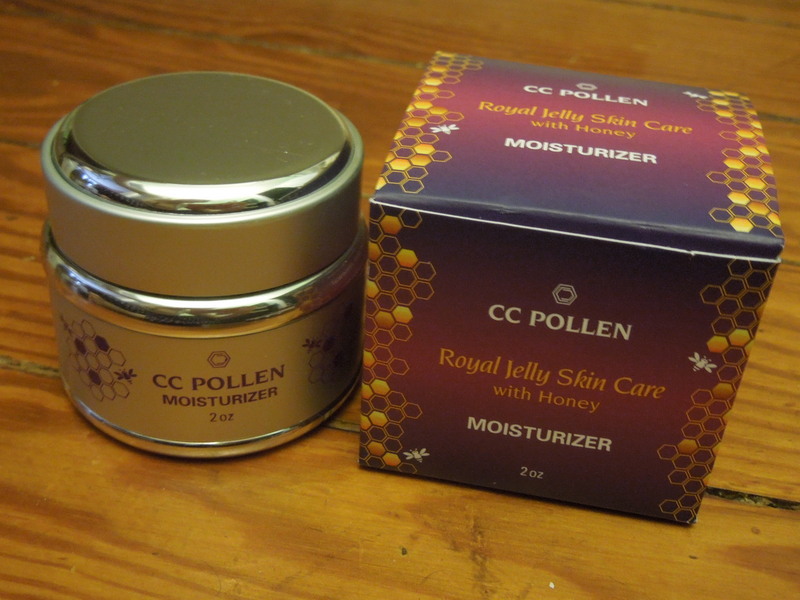 I figured it made more sense to review them separately so for May we’re focusing on the skincare and in June we’ll dive into sweet honey goodness. 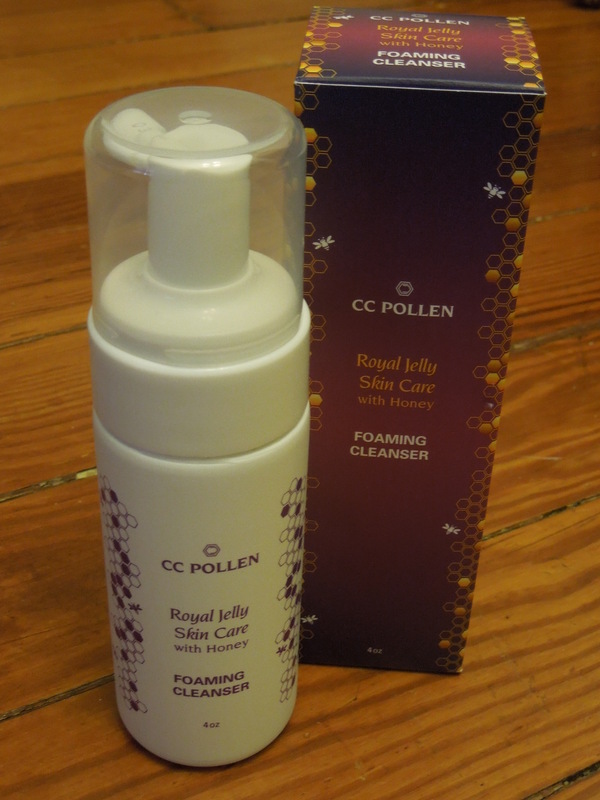 I was really intrigued with the ingredients and I don’t recall ever trying Royal Jelly in skincare products before so I was excited to give these a shot. The packaging on this was nice and the smell was a little sweet but not flowery (almost like the scent of baby products). I found the fragrance to be really pleasant and not at all overpowering. Unfortunately the cleanser to was really drying. I have combination skin with some oily areas, so I can only imagine what happens to the folks with overall dry skin. The only way you should try this out is if you have oily skin, otherwise skip it. After the cleanser I was afraid this toner might be really drying as well, but it was pretty nice. Toners typically fall into two categories: refreshing or astringent. In my opinion this one is actually in between. If you want an astringent toner, but don’t want one that’s really harsh, this might be a good choice for you. I’d skip this if you have dry skin, but I think it would be a great fit for the folks with oily skin or oily/normal combination. So this has that same light sweet, scent as the other products and a wonderful gel consistency. It’s cooling to the touch and goes on light and smooth. I think the texture is a perfect match for summertime and I feel like it helped smooth out any irritation or redness my skin had. The first thing I was struck with was the packaging. I love the metal tins. I tend to only keep a few beauty items on my tiny bathroom counter and this one (along with the night cream) were cute enough to keep out. They are a great alternative to lovely (but oh so breakable) glass and not so lovely plastic. Anyway, enough about the outside, let’s get to the inside. This cream went on smoothly and sunk into my skin pretty quickly. It had that same pleasant scent as the rest of the line. It’s a lighter moisturizer and I think it’s a good option for ladies who don’t like the feel of heavier face creams. The night cream was in the same adorbs packaging of the regular moisturizer and I actually found the products to be quite similar, although this one was a little richer. However in terms of a “night” cream, it’s definitely on the light side. 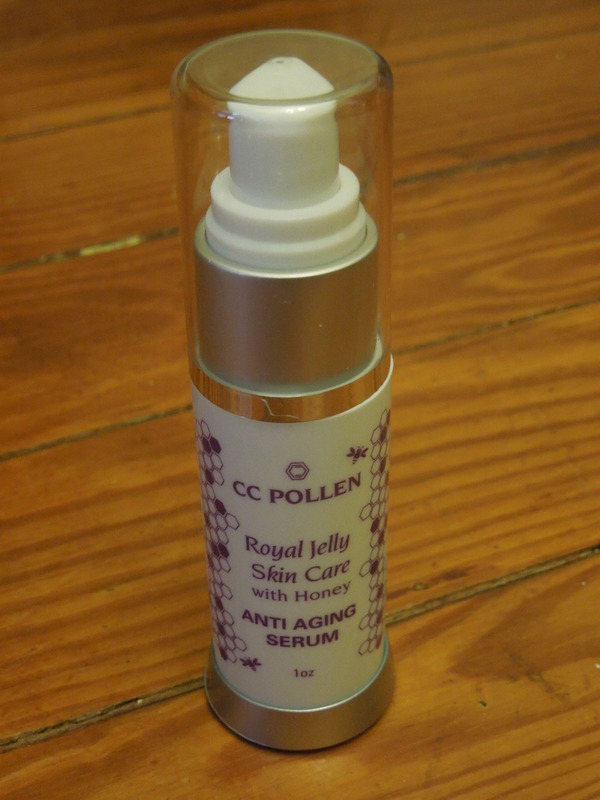 I liked the product and found it gave me excellent hydration, but I tend to prefer more intense creams and serums at night. (I like my skin to do the heavy lifting while I sleep). I think this might be a really great fit for ladies with oily skin who still want to keep their skin fresh and hydrated. 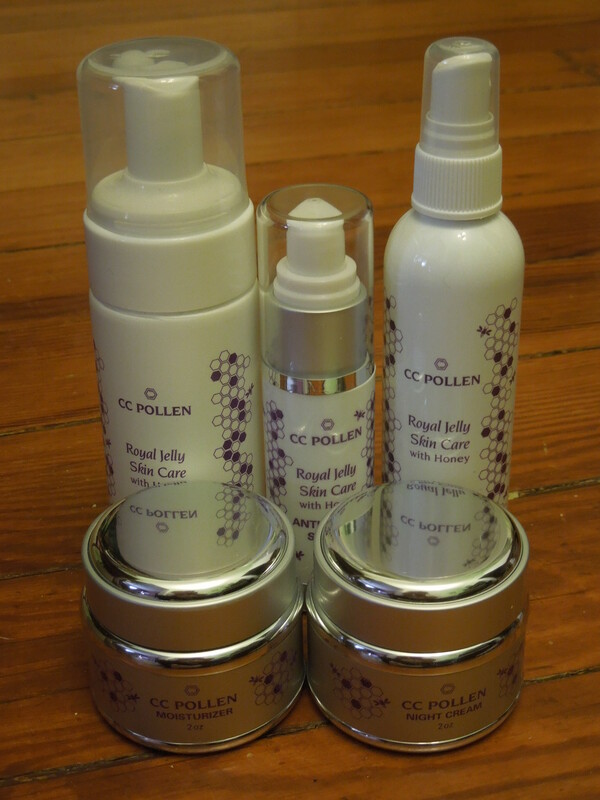 I really enjoyed trying these products. The line has a lovely scent and the products go on smoothly and they all possess a pleasant consistency. I think these products would be a great fit for ladies with oily or normal skin that want their skin to look fresh without slathering on heavy moisturizers. If you’ve got dry skin, I’d probably skip these because of the drying nature of the cleanser and toner. If you just want to try out one product, I’d recommend the moisturizer, since I think it will work just as well for day or night. It’s also a great price for the size and one jar will last you awhile. So what type of moisturizer do you use? Do you prefer heavier or lighter creams?